Convert kar,mid,rmi,midi to mp3, wav, wma using SoundFonts without recording! 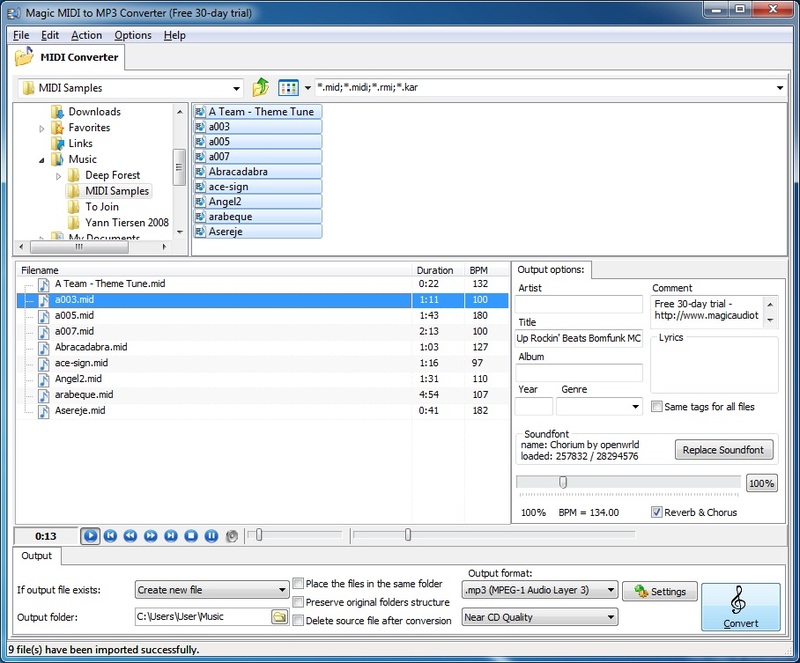 Qweas is providing links to Magic MIDI to MP3 Converter 2.4.2 as a courtesy, and makes no representations regarding Magic MIDI to MP3 Converter or any other applications or any information related thereto. Any questions, complaints or claims regarding this application Magic MIDI to MP3 Converter 2.4.2 must be directed to the appropriate software vendor. You may click the publisher link of Magic MIDI to MP3 Converter on the top of this page to get more details about the vendor.